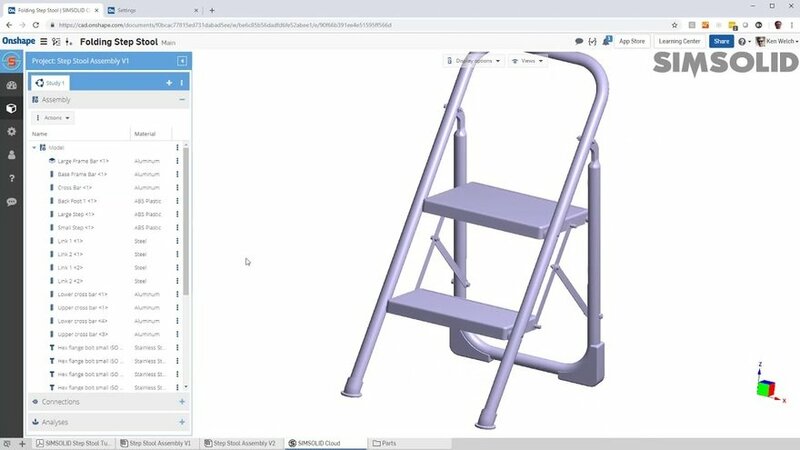 We've just learned about a fantastic CAD tool—one that works with whatever CAD package you have—that will be a game-changer in the industrial design space. 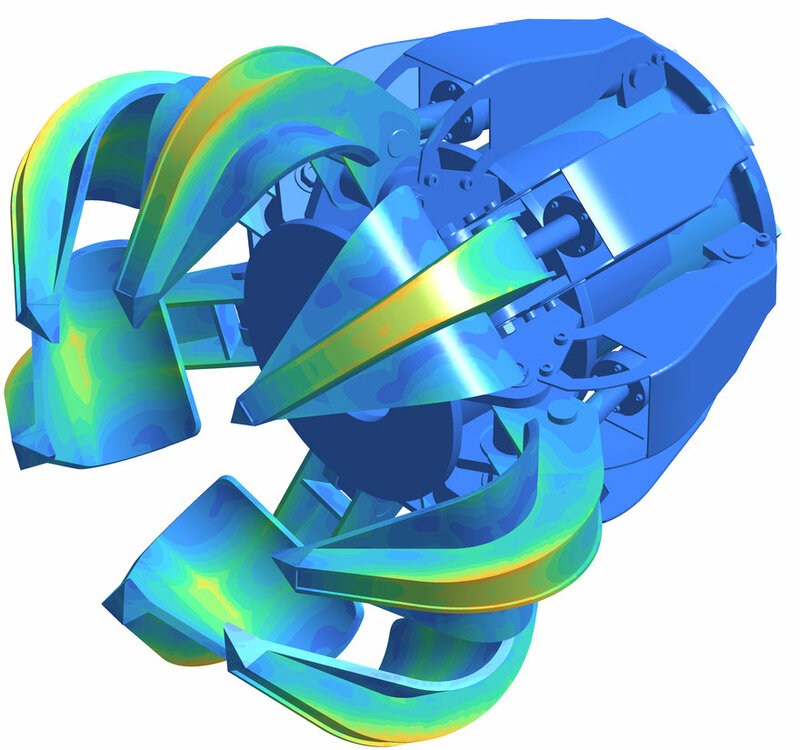 Altair's SimSolid is a simulation application that completely eliminates meshing, that tedious process of simplifying geometry for Finite Element Analysis (FEA). By running SimSolid over your CAD model, you can do simulations nearly instantly—on your original geometry, with no clean-up required. I know what you're thinking: "Isn't that FEA stuff for engineers? I'm a designer, why should I care about this?" To answer that, let's explain what has been the traditional FEA process up until now, then show you how SimSolid's new advantages would make a difference in your design workflow. SimSolid is structural analysis software developed specifically for design engineers, enabling the analysis of fully-featured CAD assemblies in minutes without meshing. 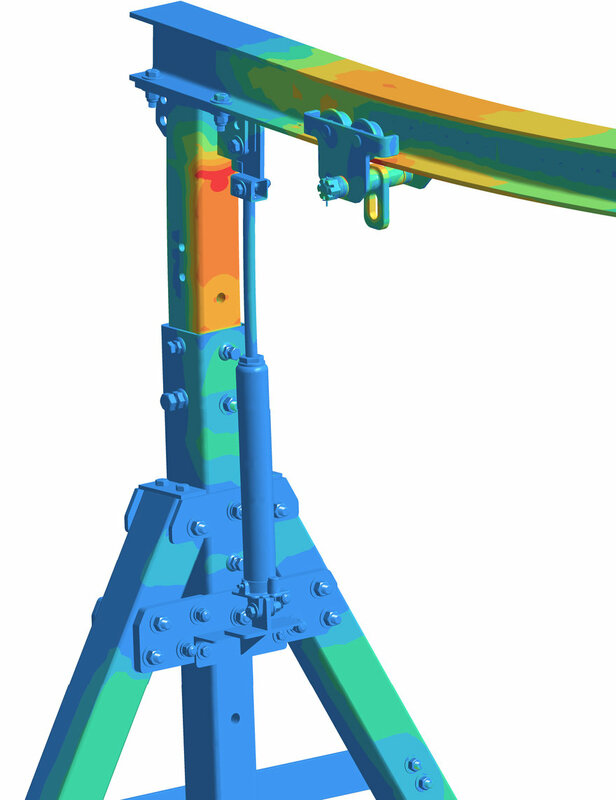 Finite Element Analysis, or FEA, has become a crucial step in the CAD process. The more simulations you can do, the less prototypes you have to build, saving you both time and money. The problem is that no CAD program is sophisticated enough to run simulations on original CAD geometry, particularly with complicated assemblies, and requires the dreaded meshing step. So traditionally, you'd design something and draw it up in CAD. It then goes over to an analyst or CAE department, where your CAD geometry is converted into a mesh so that simulations can be run on it. This geometry conversion is time-consuming and a bit of a black art: Should we run a coarse mesh for greater speed, and sacrifice accuracy? Or should we run a finer mesh for accuracy, waiting hours or even days for the computer to produce it? Another problem with meshing is that it plays havoc with CAD geometry, creating extra busywork and providing opportunities for error. Often lost in translation during the meshing process are crucial connections, gaps and overlaps. Mating parts that you slaved over no longer line up precisely. Designs with small features, both thick and thin parts and/or irregular transitions all provide headaches that must be hunted down and re-worked. To save time, a common trick is to break your assembly into parts and analyze them separately. This introduces the opportunity for errors that can cost end users even more time down the road. According to the website of one major CAD manufacturer, "Meshing a model is an integral step in performing any simulation. There's no getting around it—it has to be done." Well, with the arrival of SimSolid, that's no longer true. SimSolid can run analyses nearly instantly—on your original CAD geometry. There's no meshing required; you pull your CAD file in and it's ready to go within seconds. You don't need to be an analyst with a background in mesh voodoo. You, the designer, can run simulations to figure out if your concept is even viable before kicking it over to ME. SimSolid eliminates geometry simplification and meshing, the two most time-consuming and expertise-extensive tasks done in traditional FEA. And if you're a designer working without the benefit of a dedicated engineering department—let's say you're a design entrepreneur or part of a small team crafting low-tech objects for a crowdfunding campaign—the utility of SimSolid should be obvious. Where is the clamp for your new bike light design most liable to break? Will your design for a cantilevered monitor stand support the 21.5 pounds of a 27" iMac Pro? Is the wall thickness for your object appropriate for the application? Are two mounting bolts enough, or do you need four? A complex machined part with more than 100 small holes. It's time-consuming to mesh and solve this using traditional FEA. SimSolid does it in seconds. To be able to see these results in seconds to minutes—rather than hours or days—can let you know, early on, if you're barking up the right design tree. And as you refine the design, having the ability to definitively see whether you're over- or under-engineering an object can give you a more accurate idea of BOM and eliminate that "Hey Kickstarter backers, sorry, but we screwed up" update down the line. For a designer working within an organization that does have access to a dedicated engineering branch, SimSolid can provide an entirely new workflow. Even if ME ultimately needs to sign off after doing their own analysis, you can learn if your initial designs are viable well before knocking on their door. And by being able to spot problems early, you can tackle them with design proposals that hew more closely to your original vision, rather than you designing a unicorn and the engineers coming back with a rhinoceros. Without having to ask the engineers, you can quickly find out exactly where this stepladder's liable to break if overloaded. That gives you the power to foresee problems and tackle them with design first. "SimSolid a very empowering piece of software for those users who were locked out of a part of the process; now they can participate," says co-developer Ken Welch. 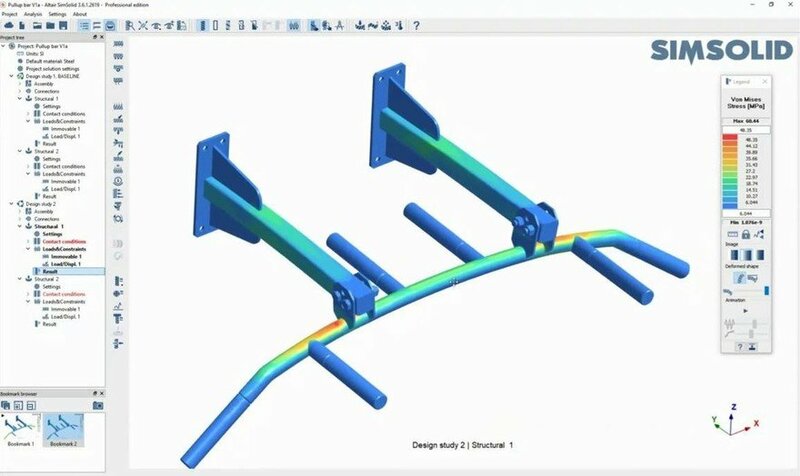 "Let's say you're an industrial designer, and you realize 'I can run a structural simulation right now, without having to wait.' Well, now you can ask a question, and answer it yourself. "That allows you to develop your designs faster, because now you can use simulation as an integral part of the design process. When you have performance insights available to you early on in the design process, that opens up the possibility for new workflows that were simply not possible in the past." You can use SimSolid to quickly check where the stress points are on this pull-up bar, and how they change depending on which of the three handle sets are pulled on. "And you can explore more. Not just with simple parts, as with most other FEA systems; with SimSolid you can look at full assemblies and very complex geometries." The following videos can give you a better idea of what SimSolid can do for you. As you can see, results are nearly instantaneous; that little flashing green bar at the bottom left of the screen seems to finish impossibly quickly. I noticed the same during demonstrations given to us by Welch, and I asked him what kind of high-powered hardware the program required. "I'm just running it on a laptop," he explained. "A lot of people see the demos and think 'I need to run this on a supercomputer in the cloud, right? Or buy a really expensive GPU?' But no, I'm running this on a standard-core i7 laptop, and it runs great." In short, SimSolid is fast, accurate, and doesn't require extra computing. It opens up a world of possibilities to designers working within today's fast-paced timelines, removing a barrier between ID and ME that seemed intractable. "Analysis never really had the impact it could," Welch says, "because it just couldn't work at the speed of design." To confirm it yourself, you can try SimSolid for free. Altair has also launched a social media promotion where SimSolid users can post a simulation for a chance to win weekly cash prizes. "Post your SimSolid simulation results to social media throughout the months of March and April 2019," the company writes, "and every week, five people will be selected to win $50 Visa Gift Cards. The best model at the end of the promotion will win a $1000 grand prize."